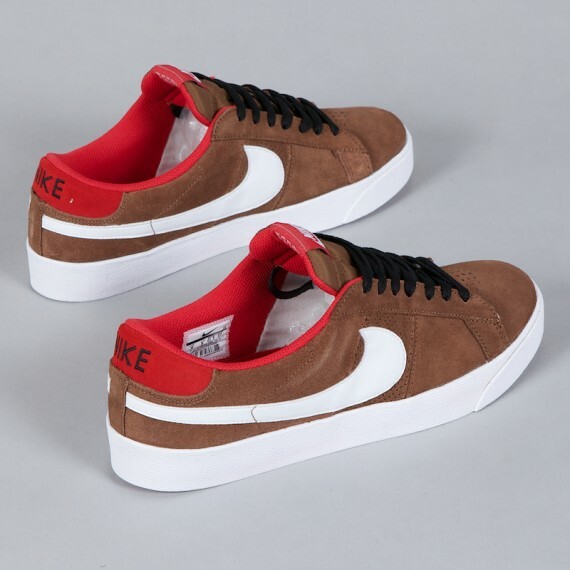 Nike SB's classic combination of 'bison' and 'sport red' make a come back on this all new colorway of the SB Blazer CS Low. The last time we saw the clean comibnation of Bison and Sport Red, they were an instant hit on the SB Dunk Low. Making use of the same classic color combination, we see this latest edition of the SB Blazer CS Low. 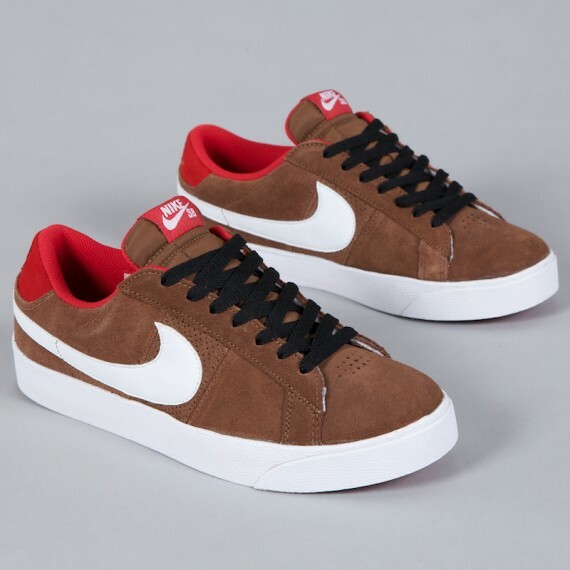 Bison-covered suede works most of the upper, with white taking it's place on the Swoosh and vulcanized sole below. 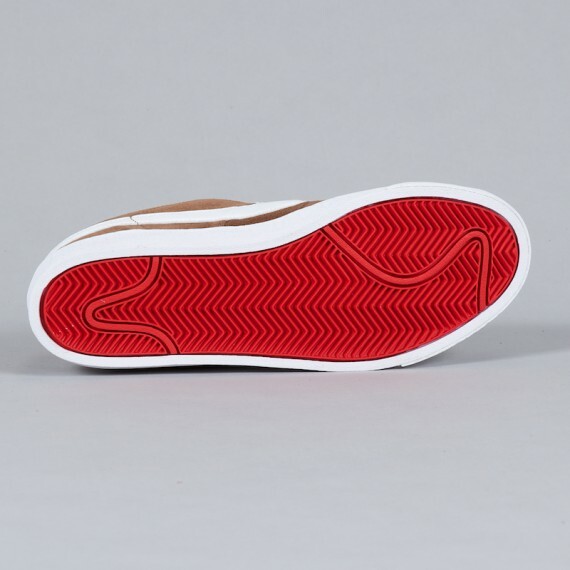 Sport red is also part of the look, running along the sockliner and tongue branding. 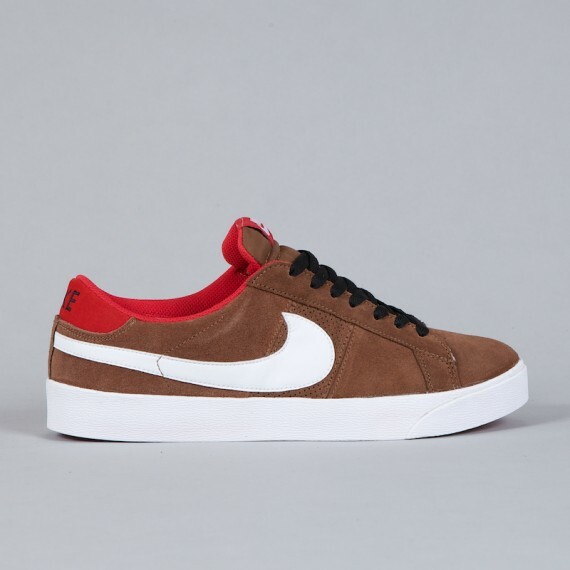 This latest colorway of the SB Blazer CS Low is expected to arrive at Nike SB retailers sometime this month.